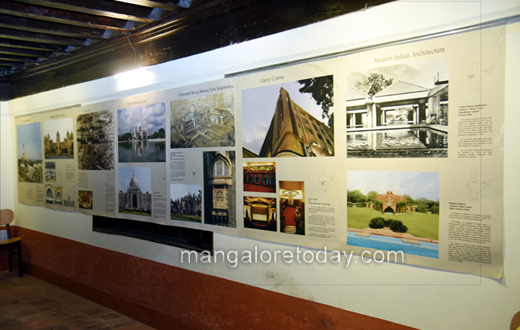 Mangaluru, Dec 09, 2017 : The newly formed Mangaluru Chapter of Indian National Trust for Art and Cultural Heritage (Intach) is hosting an exclusive exhibition ‘Splendors of Indian Architecture’ from 9th to 17th December 2017. 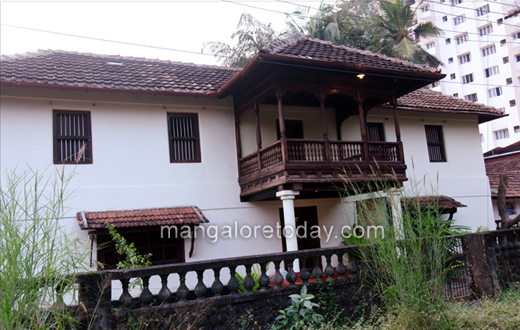 The exhibition curated by Saryu Doshi is being aptly hosted at ‘Kodial Guthu West’, a traditional Guthu style manor house situated near Janata Deluxe Restaurant at Ballal Bagh in the city. 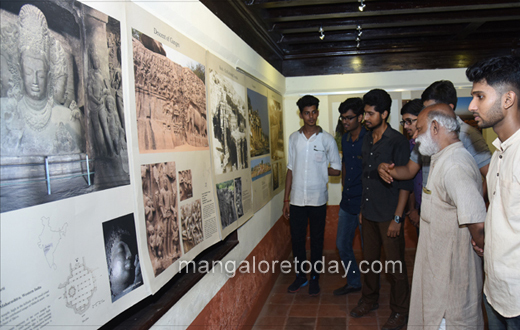 The exhibition will be open to public from 4:00 p.m. to 8:00 p.m. on all days. 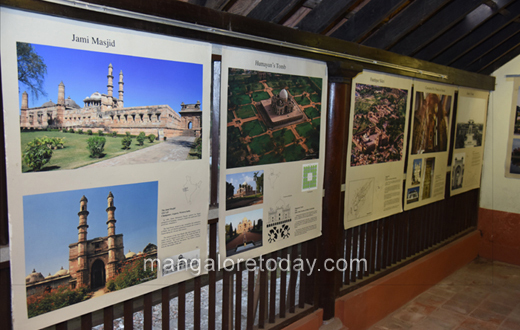 “The exhibition comprises of a series of displays focusing on the different phases of Indian architecture from Indus Valley civilization onwards. 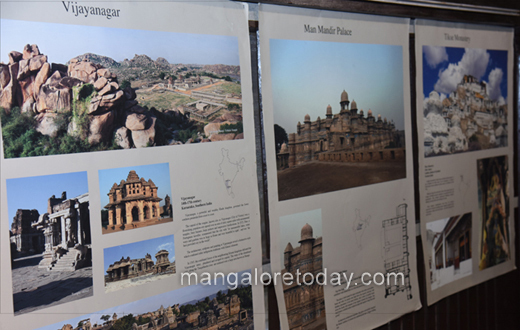 The iconic structures of each phase or style are portrayed on each display panel,” said exhibition convener Prof. Subash Basu during a preview session arranged for the media. 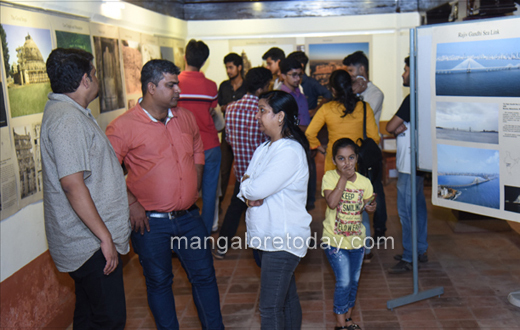 The exhibition showcases the entire spectrum of Indian architecture beginning from Lothal, a Harappan site situated in Gujarat. 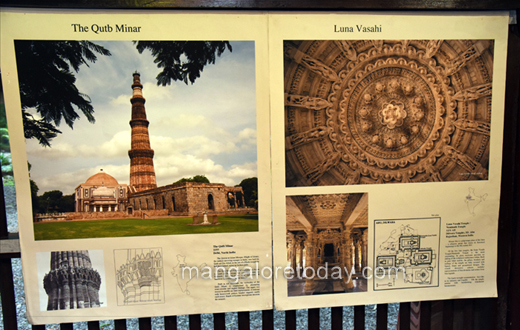 Other displays include architecture of Buddhist, Mauryan, Mughal, Vijayanagar, Vedic and Hindu architecture, Tibetan structures etc representing almost all the facets of India and ending with modern period including colonial structures, institutions of governance, embassies and even the Bandra-Worli Sealink. 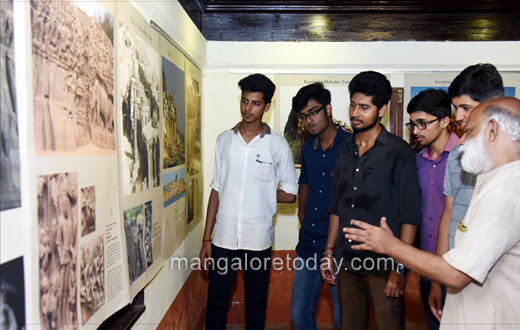 Founded in 1984, INTACH is a non-profit charitable body which has pioneered the conservation and protection of India’s natural and cultural heritage. It is today the largest membership based organisation in the country dedicated to conservation. 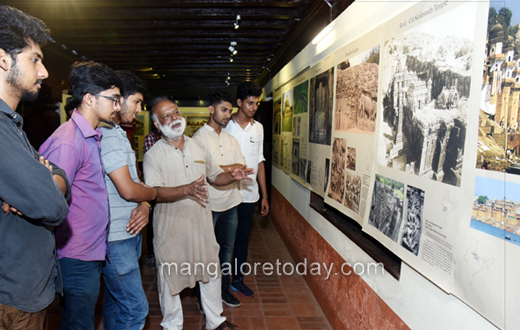 Mangaluru Chapter of Intach is still in its formative stage and more activities are planned in the future, said architect Niren Jain, who is also associated with the chapter along with architect Dr. Shaila Bantanur and artist Anil Devadiga.